Winners of the 2017 PTA Reflections Contest were honored by the PTA at their May 4, 2017, meeting. 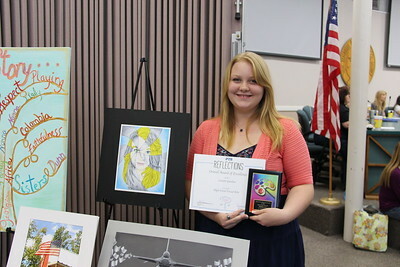 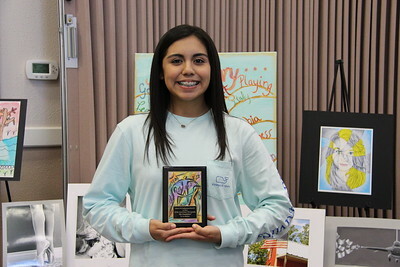 Lanette Gardner (NBHS), High School Visual Arts Overall Award of Excellence winner in the 2017 PTA Reflections Contest. 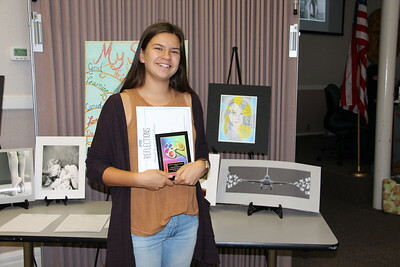 Chloe Knight (ORMS), Award of Merit for Middle School Visual Arts, “Steering the Life of Many” in the 2017 PTA Reflections Contest. 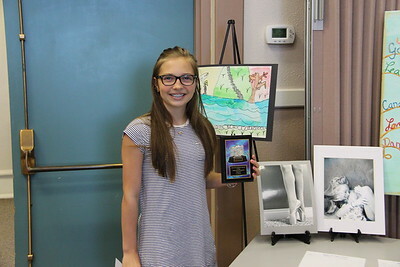 Allie Davis (ORMS), Honorable Mention for Middle School Photography, “Sous-Sus” in the 2017 PTA Reflections Contest. 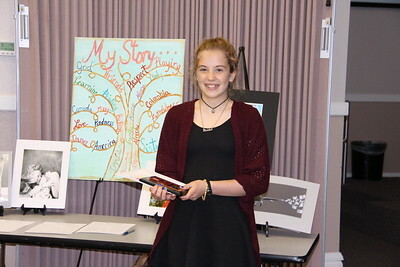 Madeline Hezel (ORMS) Award of Merit for Middle School Literature, “Just Me”; in the 2017 PTA Reflections Contest. 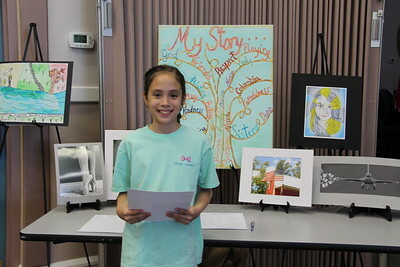 Danyella Carrellie (County Line ES), Award of Excellence for Intermediate Visuals Arts Award in the 2017 PTA Reflections Contest. 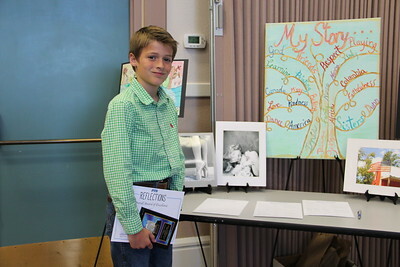 Jack C. Call (Klein Road ES), Overall Award of Excellence for Elementary Photography in the 2017 PTA Reflections Contest. 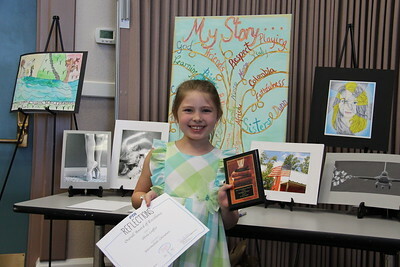 Avery Conway (Walnut Springs ES), Award of Excellence for Dance Choreography in the 2017 PTA Reflections Contest. 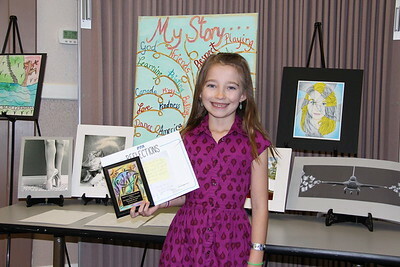 Olivia Loeffler (Walnut Springs ES), Overall Award of Excellence for Elementary Literature, in the 2017 PTA Reflections Contest. 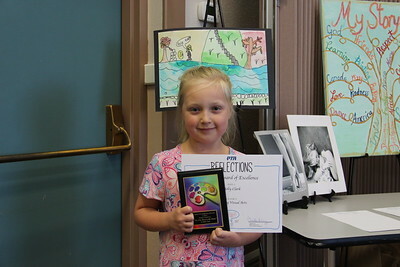 Molly Clark (Walnut Springs ES), Overall Award of Excellence in Elementary Visual Arts recipient in the 2017 PTA Reflections Contest. 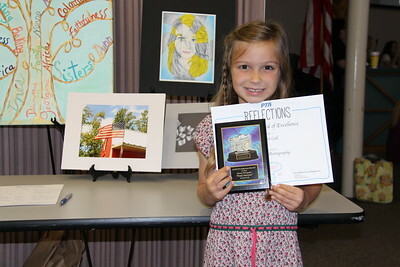 Perri S. Call (Klein Road ES), Award of Excellence for Elementary Photography in the 2017 PTA Reflections Contest. 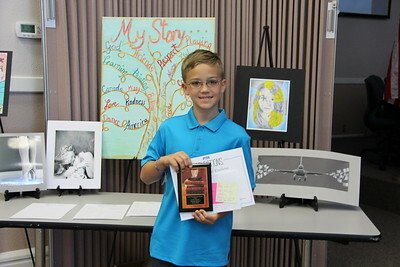 Jaxon Barth (Klein Road ES), Award of Excellence for Elementary Literature in the 2017 PTA Reflections Contest. 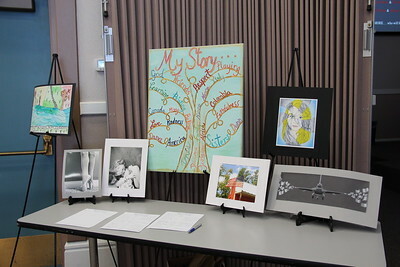 Display of the award-winning entries from NBISD in the 2017 PTA Reflections Contest, during the May 4, 2017 PTA awards program. 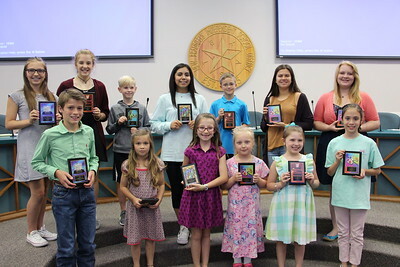 The 2017 PTA Reflections Contest State Qualifiers and State Winners being honored at the May 4, 2017, PTA luncheon at NBISD.